Magnolias and Men M/M Romance With a Southern Accent: One Perfect Score! 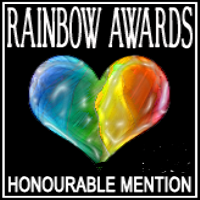 The results are in and this year's Rainbow Awards winners were announced yesterday. A big congratulations to all the winners! And a big thank you to host Elisa Rolle, and to the judges, for this massive undertaking. Toward the end of the evening I received a delightful surprise of my own: Diversion was named in the "One Perfect Score" category, receiving an honorable mention. "Wow! This is definitely one of the best books I read this year. It has all the elements of the perfect read. This book is my first by this author but as soon I send this email I am off to check the on-line bookstore for more. –Tessa"
I'm thrilled by Tessa's assessment, and the kind words give me added incentive to get the sequel published and work on the third book in the series. Amber Allure is currently offering Diversion at a 25% discount, so if it's caught your eye, now would be a good time to buy. Thanks! It was a very nice surprise! Well deserved! 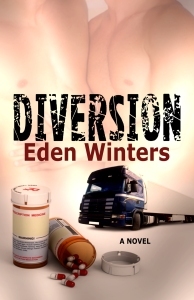 Can't say it loud enough: I love Diversion! Thank you so much! I had no clue when I first wrote it that it'd spawn a series, but Lucky simply won't leave me alone, always demanding that I write more.